Wirelessly connect your PC or Smart Device to Buell ECM for Precision Tuning. 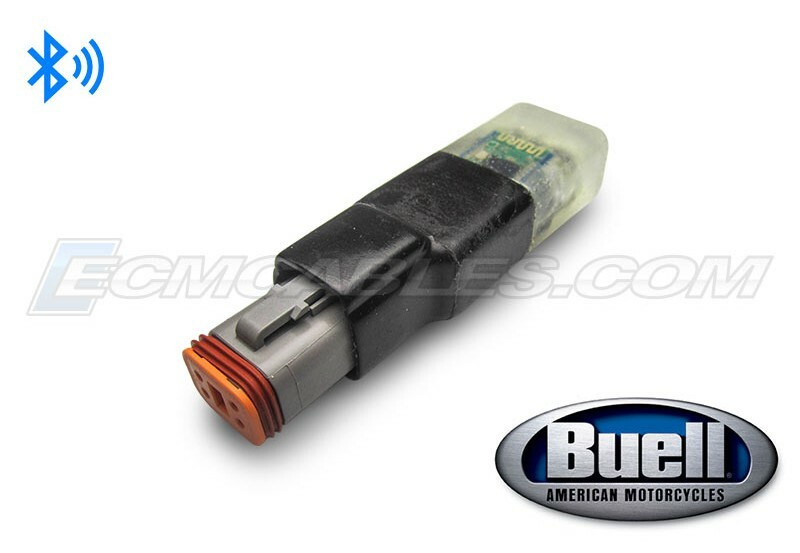 Our Buell BlueTooth ECM Basic Dongle is the first Wireless Adapter for made for Buell ECMs which is fully encapsulated for weatherproof operation, and although it is not designed to remain on the bike as an attached accessory, it can be used while the bike is in operation for Data Logging and Live Data Viewing. Pair your PC Bluetooth with our Buell BlueTooth ECM Basic Dongle using ECMSpy, or with an Android Phone or Tablet using ECMDroid. 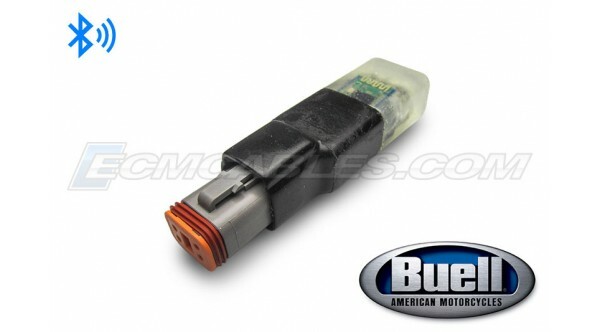 Additionally, one can use our Buell BlueTooth ECM Basic Dongle in conjuction with a Windows, Android or iOS Smart Phones or Tablets over WIFI with a Windows laptop or PC running ECMSpy, TunerPro, or DirectLink using RDP, whether staionary or while riding.